Terence Dunn (Tang Pang-yen) is an expert instructor of Chinese martial, yogic, and qigong healing arts with forty-one years of experience. 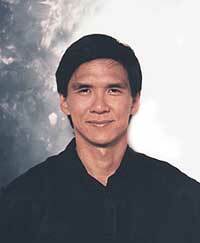 He is the creator of the best selling instructional DVDs series Tai Chi for Health, and Chi Kung For Health. Terry Dunn was born in 1954 in Hong Kong and immigrated with his parents to the United States in 1960. He attended public schools in Southern California and then earned degrees at Yale University (1976, B.S. – Biology, Philosophy, Chinese Studies) and the Harvard Business School (1980, M.B.A.). He is a gifted teacher, author and filmmaker committed to preserving and making available some of the most rare and powerful energy arts found in Chinese physical and spiritual culture. • Yang Style Taijiquan – (Master Chan Ching-Kai). • Chen Style Taijiquan – (Master John Fey). • Dao Dan Pai Kung Fu ("Daoist Elixir Method”) of Daoist priest Share K. Lew – (Masters John Davidson and Bill Helm). • Ehrmei Mountain White Tiger Kung Fu ("Bak Fu Pai") – (Grandmaster Doo Wai). • Eight Sections of Energy Combined Kung Fu ("Bat Dim Gum") – (Grandmaster Doo Wai). • Southern Sil Lum [Shaolin] Five Animals Kung Fu of Grandmaster Ark Yue Wong – (Master Douglas Wong). • Six Harmonies & Eight Methods ("Liu He Ba Fa") Boxing – (Dr. York Why Loo and Master Chan Ching-Kai). • Daoist Elixir Method Neigong – (Daoist priest Share K. Lew, and Master John Davidson). • Tai Chi Ruler – (Daoist priest Share K. Lew and Master John Davidson). • Flying Phoenix Celestial Healing Chi Meditations [Bak Fu Pai tradition] – (Grandmaster Doo Wai). • Ten Thousand Buddhas Ascend to Heaven [Bak Fu Pai tradition] – (Grandmaster Doo Wai). Master Dunn helped pioneer the practice of Tai Chi (Taijiquan) and Chi Kung (Qigong) in modern medicine aiding the post-operative recovery of cardio-thoracic surgery patients at Cedars-Sinai Medical Center in Los Angeles, supplanting the use of pain-killing drugs (1996-2001). Dunn also pioneered Tai chi practice in professional sports by becoming the first full-time Tai Chi trainer in the National Basketball Association, teaching the Los Angeles Lakers throughout their 2000-2001 World Championship season. Terry continues to work with top amateur and professional athletes helping them attain peak performance through Tai Chi’s body mechanics and the Qigong benefits of both Ehrmeishan and Pole Star traditions. DVDs series: Tai Chi For Health. Chi Kung For Health. Miscellaneous writings: Articles on Tai Chi Chuan and Qigong. "The Flying Phoenix Heavenly Healing Chi Meditations." "Internet Links to Favorite Demonstrations, commentary by Terry Dunn." T'ai Chi Ruler: Chinese Yoga for Health and Longevity. [book and video]. Facebook: "Terry Dunn's Tai Chi For Health - Facebook." Contact: Terry Dunn at Zen-Bear, Inc. 1112 Montana Avenue, Suite 707, Santa Monica, CA 90403; email to: zenbearinc@gmail.com or telephone: (310) 622-2925.